We had the greatest weekend. My Daddy was in town! This is the second year he has come to to visit us and catch the LA Auto Show (here’s the first). I hope it’s a permanent tradition. I am going to write all about our weekend, including: The leaning tower of Christmas tree! 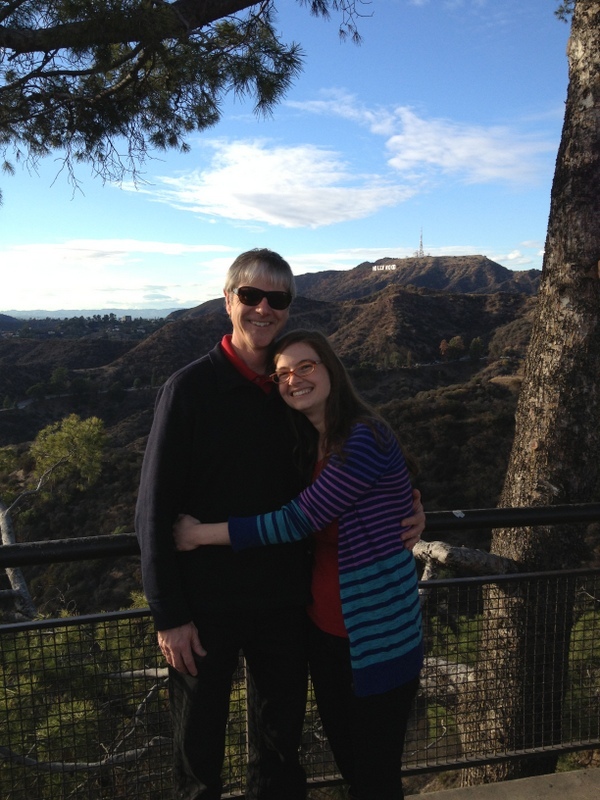 Griffith Observatory! So many delicious meals! Making Christmas ornaments together! But tonight, I am too tired and too happy. And so grateful to have the sweetest Daddy in the world. Hope you all had a fantastic weekend too! It was a real treat to get to add your Dad to our Sunday phone conversation. It sounds like you had a wonderful time together, as always. It was a great weekend and I can’t wait to relive through your future posts! Thank you for coming!! It was so great! Can’t wait for you to come next year too! Your dad has already “gone Hollywood” with the sunglasses & all!